Menswear designers (that have been in the industry for less than seven years) don’t forget to enter SA Fashion Week’s (SAFW) 2015 Scouting Menswear competition. 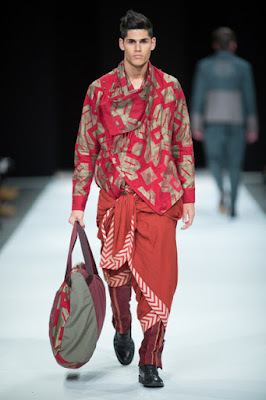 The competition, which was launched in 2014 when it was won by Andrew Chandler of The Wolf in Sheep’s Clothing, aims to provide a springboard for emerging talent wishing to enter the burgeoning local menswear fashion market, says SAFW director, Lucilla Booyzen. According to Booyzen, the most recently available figures indicate that the global menswear market generated revenues of $423.2bn in 2013, representing a compound annual growth rate (CAGR) of 4.8% between 2009 and 2013. Quoting Editor-in-Chief of British GQ, Dylan Jones that there is a generation of young men who are more sophisticated than their predecessors and who have no qualms about buying contemporary, directional fashion, Booyzen, says the same is true of South Africa. Growth experienced by some of the iconic local brands such as Naked Ape, Ephymol, House of Olé, Palse Homme and more recently Roman Handt, Row-G and Narrainsamy that have showcased at SAFW since 2010, indicates that the international trend is equally strong here. It is this new impetus that demands a greater focus on this category, she says. 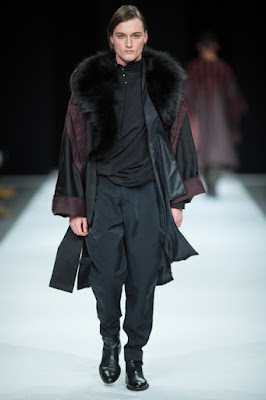 The SAFW’s Autumn/Winter 2015 showcase last year therefore saw the introduction of the first dedicated menswear day with the collections of thirteen established designers as well as the launch of the inaugural SAFW Menswear Competition featuring seven new labels. Designers wishing to participate in this year’s competition can register online before 22 July and must submit a ten-page portfolio of their brand as well as eight sketches of their proposed collection to SAFW by 24 July 2015. Ten semi-finalists will be invited to present their collections to the judging panel on 9 October at SA Fashion Week. Six finalists will then be selected to showcase at SAFW Autumn/Winter from 22 – 25 October 2015 where the winner will be announced. The winning designer will receive a three-designer show slot for the SAFW Spring/Summer 2016 Collections, representation by The Fashion Agent for a year and a stand at the SAFW 2016 Pop Up Shop in Brooklyn Mall. 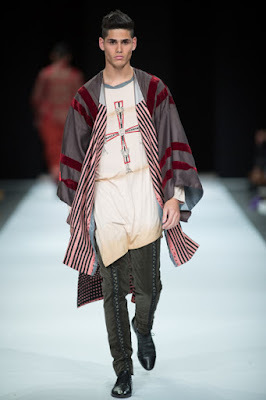 Visit www.safashionweek.co.za for more information.